McLean Hospital is a comprehensive psychiatric hospital committed to providing easy access to superior quality, cost-effective mental health services in the Boston area, Massachusetts and beyond. Since 1811, McLean Hospital has been a world leader in the treatment of mental illness and chemical dependency, research into the cause of mental illness and the training of generations of mental health care providers. 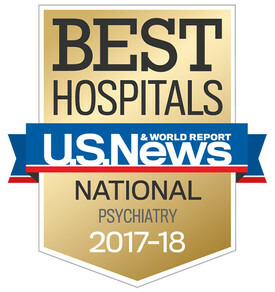 Major clinical programs at McLean Hospital address a broad range of psychiatric illnesses, including: depression, bipolar and psychotic disorders; mood and anxiety disorders; alcohol and drug abuse; dissociative disorders; Alzheimer’s disease and other geriatric illnesses; and child and adolescent psychiatric disorders. Each program offers access to a full continuum of care, including acute inpatient care, acute residential care, partial hospitalization, continuing residential care options and outpatient services. McLean Hospital is an affiliate of Massachusetts General Hospital and a member of the Partners HealthCare System, Inc., which allows for comprehensive coordination of medical and psychiatric services. Article: How one city is changing the way we talk about mental health.